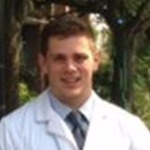 I am currently a third-year medical student at Tulane University School of Medicine. I initially became interested in immunology through my experience as a research technician at the University of Illinois-Chicago, where I worked in the lab of Dr. Bellur Prabhakar. In Dr. Prabhakar’s lab, I was personally responsible for projects that aimed to develop novel therapeutic agents for the treatment of Type 1 Diabetes. Several years later, I was introduced to critical care medicine in the Neonatal Critical Care and Neuro-Critical Care Units at Tulane Medical Center. The unique research being conducted in the lab of Dr. Kox represents basic immunology research applied to critical care patients, a fascinating intersection that I wish to explore in depth. The project has been funded! I really appreciate your support Dean! I appreciate your contribution Andrea. I hope the research I complete will help move our understanding along and new solutions for sepsis treatment will be available in the near future. Thanks again! Thanks Claire! Really appreciate the kind words and the donation. Thanks Uncle A and gang!